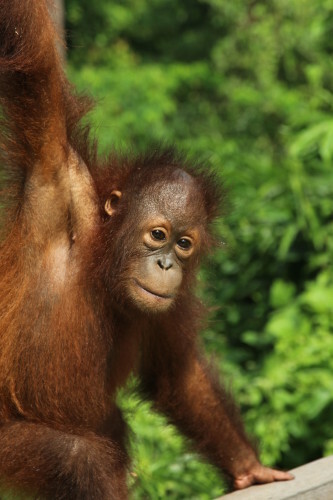 Meet the Orangutans is a window into the extraordinary daily drama at the world’s first-ever Orangutan Sanctuary where over thirty orphaned ginger terrors rule the roost. 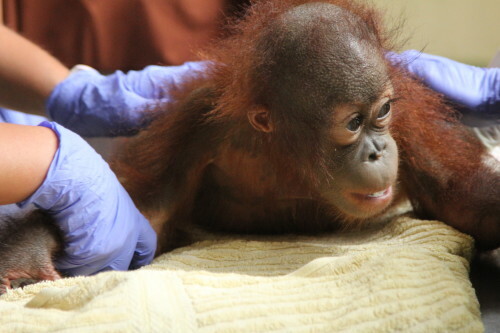 Led by Orangutan Fairy Godmother, Sue Sheward, a dedicated team of vets, nurses, rangers and volunteers has just one aim: To return their endangered young charges to the wild. 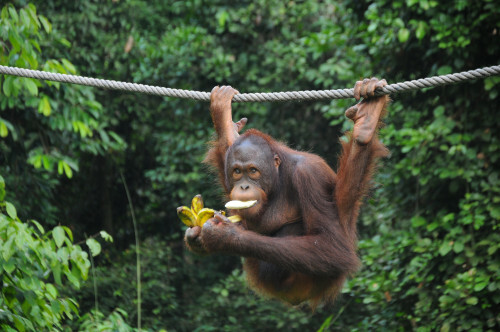 But before they can do that, they need to complete up to seven years of Forest School – learning all the skills they would have learned from their mothers: What to eat; how to socialize; nest-building and, most crucially for an ape that spends 90% of its life in the trees, how to climb. 1/8. The lives of orphaned baby orang-utans as they are brought to the world's oldest sanctuary in Borneo before being released back into the wild as young adults. 2/8. One orphan is new on the scene and needs a more experienced friend to help them bed in. Meanwhile, the babies are at high risk from ingested parasites. 3/8. Following the lives of orphaned baby orang-utans as they are brought to the world's oldest sanctuary in Borneo before being released back into the wild as young adults. 4/8. Following the lives of orphaned baby orang-utans as they are brought to the world's oldest sanctuary in Borneo before being released back into the wild as young adults. 5/8. 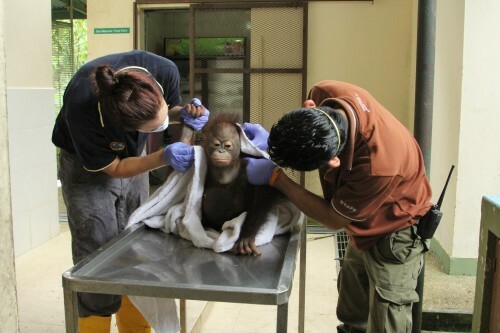 Gelison arrives at the Sepilok sanctuary aged just one year old and was traumatised after losing his mother. Although he is settling in better, his bullying tactics push limits. 6/8. 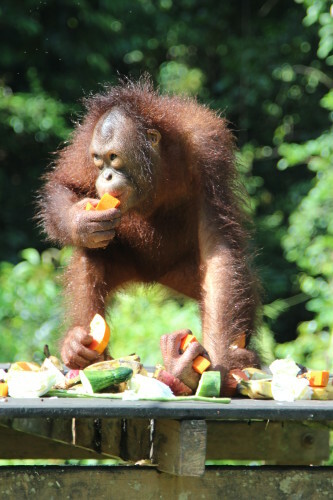 It is feeding time at the sanctuary, and the primate inhabitants must learn the tricky task of finding food for themselves. 7/8. 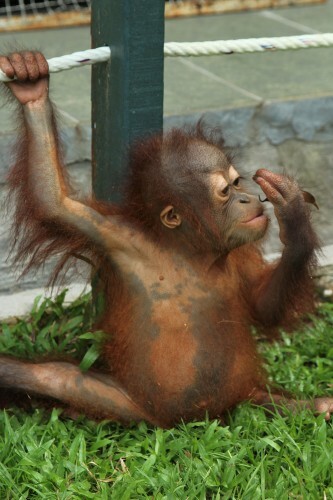 Chiquita was only two months old when she arrived at Sepilok sanctuary. 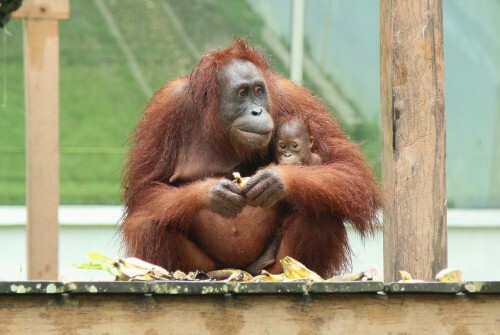 Now aged three, her surrogate attachment to one of the staff is causing developmental issues. 8/8. There is a baby boom at the sanctuary as new arrivals mix with news of more on the way. 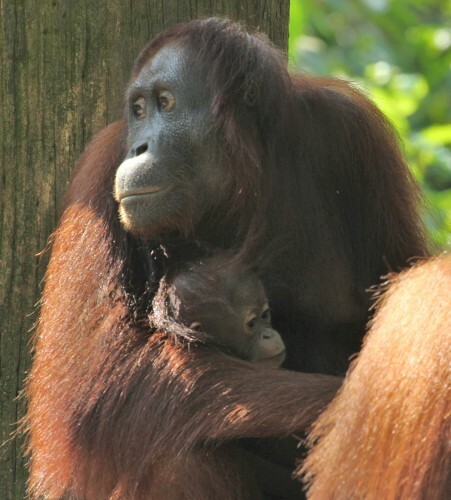 The dominant male known as CID is thought to be the father of all offspring - but may not be.